On Oct 28, 2011, Indians will probably witness one of the biggest events India has ever hosted - the 'Metallica Tour of India'. The 'thrash metal band' will start their tour at F1 Rocks, Leisure Valley, Gurgaon near Delhi on Oct 28, celebrating the first 'Grand Prix' race ever held in India and on Oct 30 in Bangalore at the Palace Grounds as a part of the Sonisphere Festival, the worlds largest touring festival. Metallica is the pioneer in the 'Thrash Metal' music scenario. The band is also known as a 'heavy metal' band. 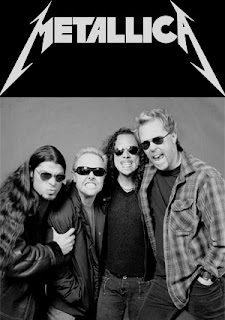 The members consist of James Hetfield on lead vocals and rhythm guitar, Lars Ulrich on drums and percussion, Kirk Hammett on lead guitar and backing vocals and Robert Trujillo on bass and backing vocals. The band was formed in 1981 and got nine albums till 2011 up their sleeves. So far numerous internationally acclaimed bands and musicians like Mr Big, Scorpions, Iron Maiden, The Rolling Stones, Deep Purple, Megadeth, Aerosmith, Jethro Tull, Sting, Bryan Adams, Elton John, Mark Knopfler, Joe Satriani and many more have come to India and performed in different cities like Bangalore, Shillong, Delhi and Calcutta in front of overwhelming crowd. The recent past has seen India coming out into view as a spicy music destination for international musicians and bands looking to break into its young and new market.